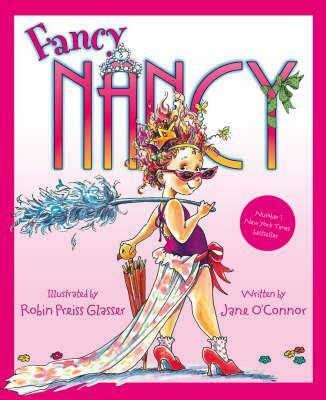 Meet Fancy Nancy, who believes that less is definitely NOT more, when it comes to dressing up and being fabulous! From the top of her tiara down to her sparkly studded shoes, Nancy is determined to teach her family a thing or two about being fancy. How Nancy transformers her parents and little sister for one enchanted evening makes for a story that is funny and warm - with or without the frills. Jane O'Connor has always had a secret fondness for froufrou. An editor at a major publishing house, she has written more than thirty books for children. She lives with her family in the glamour capital of the world - New York City. Robin Preiss Glasser, who habitually sports glasses and jeans, discovered her "inner Nancy" while illustrating this book. "Wearing lace-trimmed socks helps me draw better," she says. She has illustrated many books and lives in Southern California with her family and tiara collection.